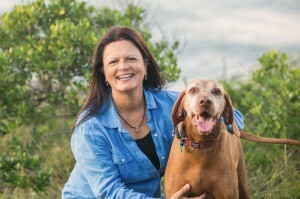 I started MaxxWell Australia due to my own experience with Arthritis and the relief I found using magnets. Gladly do I share my personal experience, my journey and findings with other unique people who are also passionate about natural wellness for themselves and their beloved pets. Originally sceptical, you can read my story here. Our business name is a combination of the name of our beloved dog Maxx and our life motto to Maximise our Wellness. MaxxWell Australia – Maximise your Wellness. My Mission Statement: Looking after Self. We offer Stunning Magnetic pieces that may help with health issues including, but not limited to: anxiety, arthritis, back pain, carpal tunnel, circulation problems, headaches, hormones, hyperactivity, migraine, numbness, painful joints, rheumatism, sciatic & disc pain, shoulder pain, tennis elbow. We also offer Magnetic solutions for your pets with Arthritis and/or anxiety. We love our 3 doggies and we have seen such a difference in their wellbeing by using magnets in their drinking water, wearing waterproof harnesses with integrated magnets or by wearing magnetic dog collar charms. We also offer Pet Lover’s pieces to show just how much you love your fur babies too, that may also assist you with any of the above human ailments. It may also be a loving memorial piece of jewellery (Ashes Pendants) for your fur baby who crossed the Rainbow Bridge. My personal favourite piece in the Pet Lover’s range is the paw print pendant. Customer Care and After Sales Service are very important to us. We like to look after our customers. Normally we suggest that people start with a minimum of 2 pieces** to get the best start. That is why they often return to shop for additional items as they too experience the general sense of wellbeing that wearing magnets may give. Click here for our Package 2 piece $99 deal. We offer complimentary gift wrapping throughout the year. I chose to include Energetix products in the product range because the company has been around since 2002 and combines German technology [who are exceptionally good at wellness] & designs using the age old healing properties of copper and magnets [depending on what you need assistance with the two can be combined]. They use neodymium magnets with a range of minimum strength of 1200 Gauss to a maximum strength of 2200 Gauss* which is amongst the strongest in the industry. They also offer a 2 year manufacturer’s warranty, excluding normal wear and tear and also if worn in water with exception of Silicone waterproof designs*****. **Two magnets should be worn in separate areas on your body for maximum effect or ideally you wear the pieces as close to the source of pain as you can. EG if in the finger, wear a ring. If in your ankle/foot wear an anklet. If in your back, wear a magnet heart/strip attached to clothing close to the area of pain. Click here for our Package 2 piece $99 deal. ****Please do NOT wear magnets if fitted with a pacemaker or other AIMD (Active Implantable Medical Device), and/or during pregnancy. *****Magnetic Jewellery is NOT designed to be worn in water with the exception of the silicone waterproof bracelets. If you put your magnetic jewellery in water it will NULL & VOID the warranty.